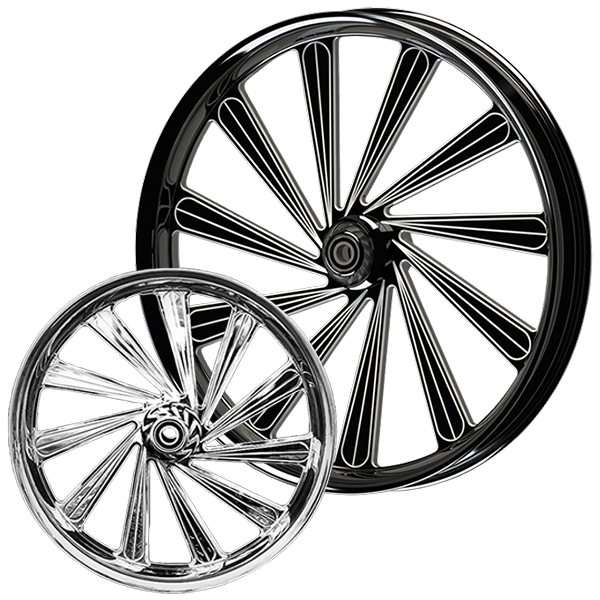 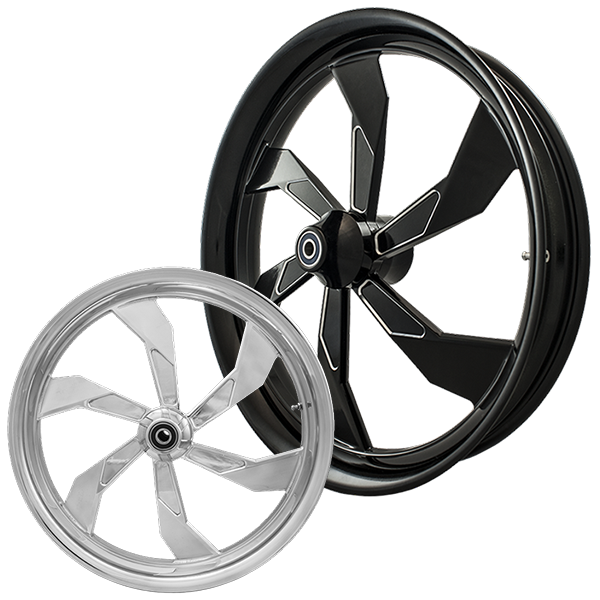 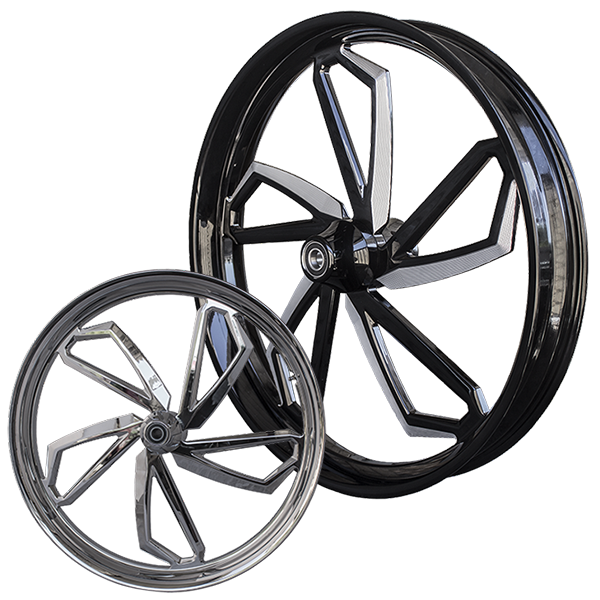 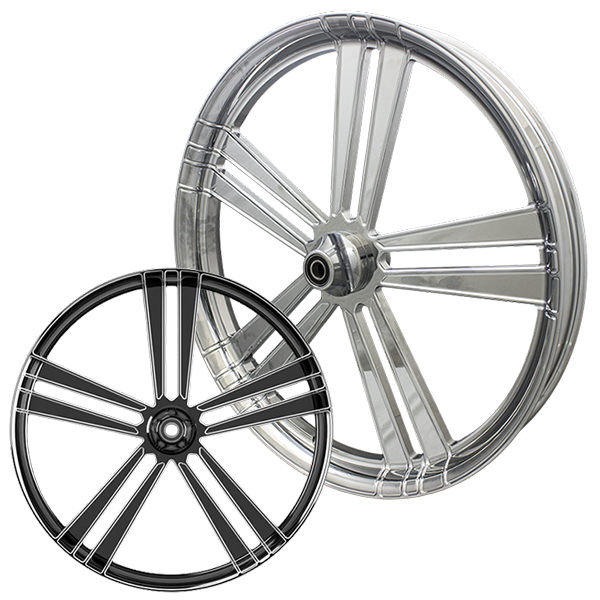 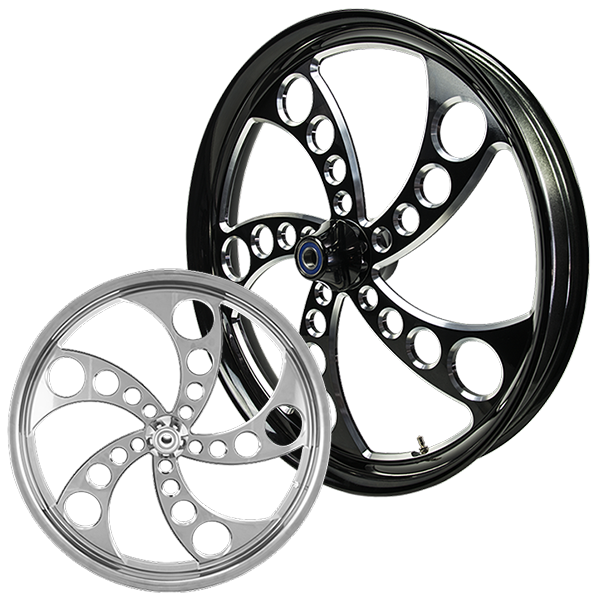 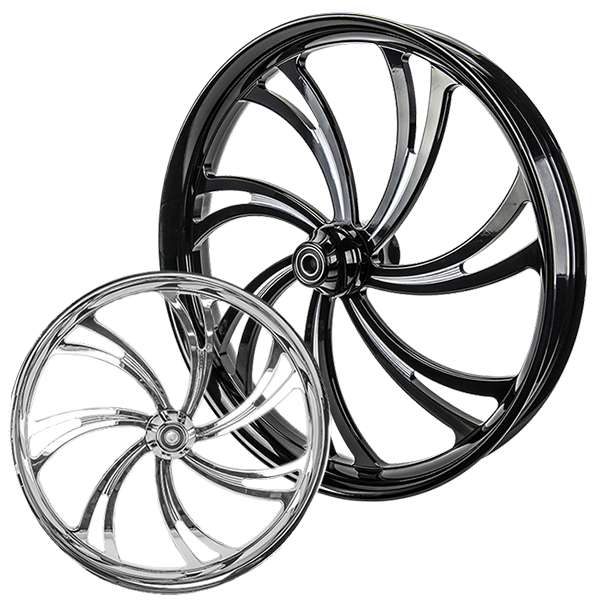 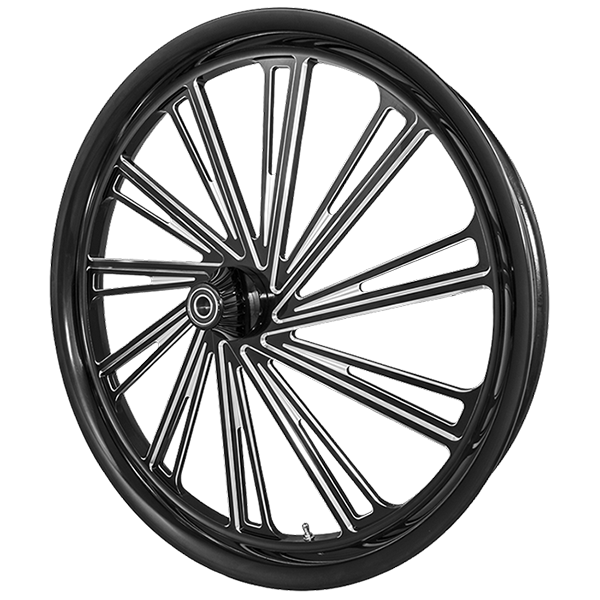 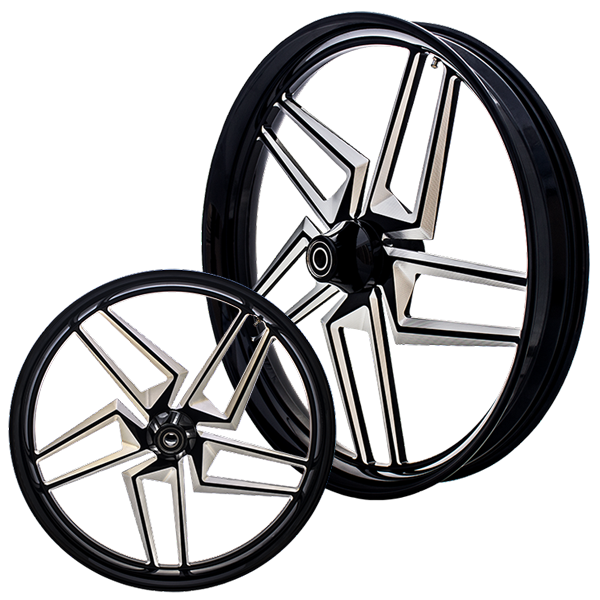 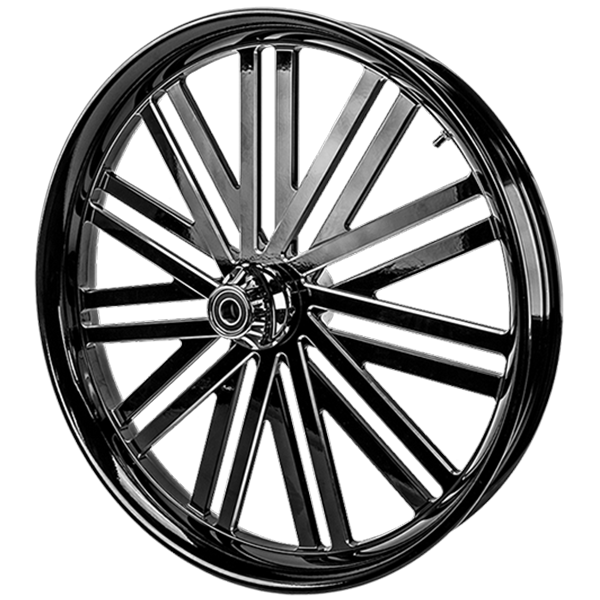 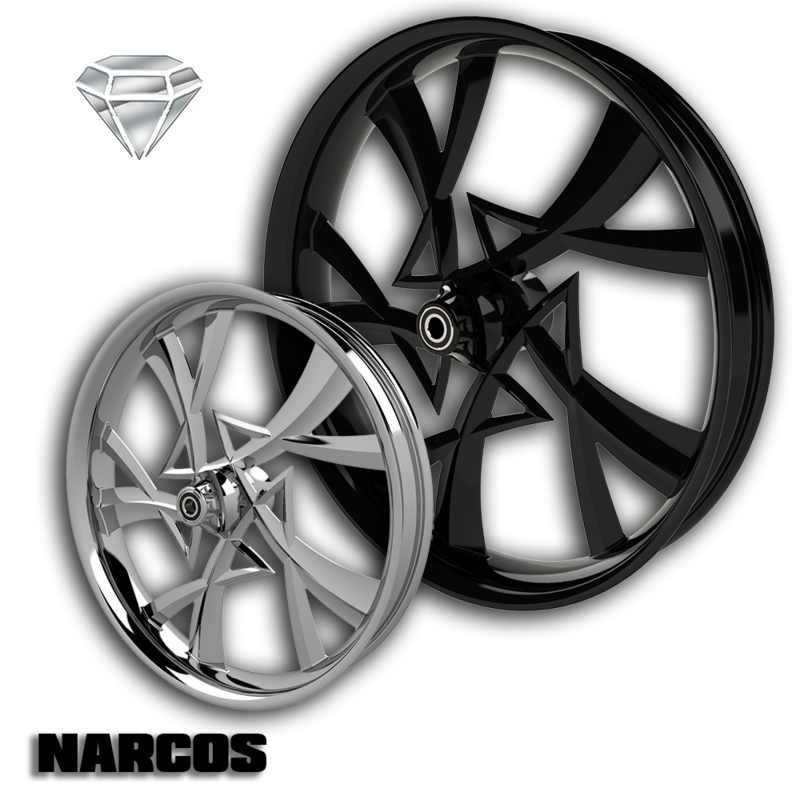 SMT Machining designs and creates custom motorcycle wheels and rims! 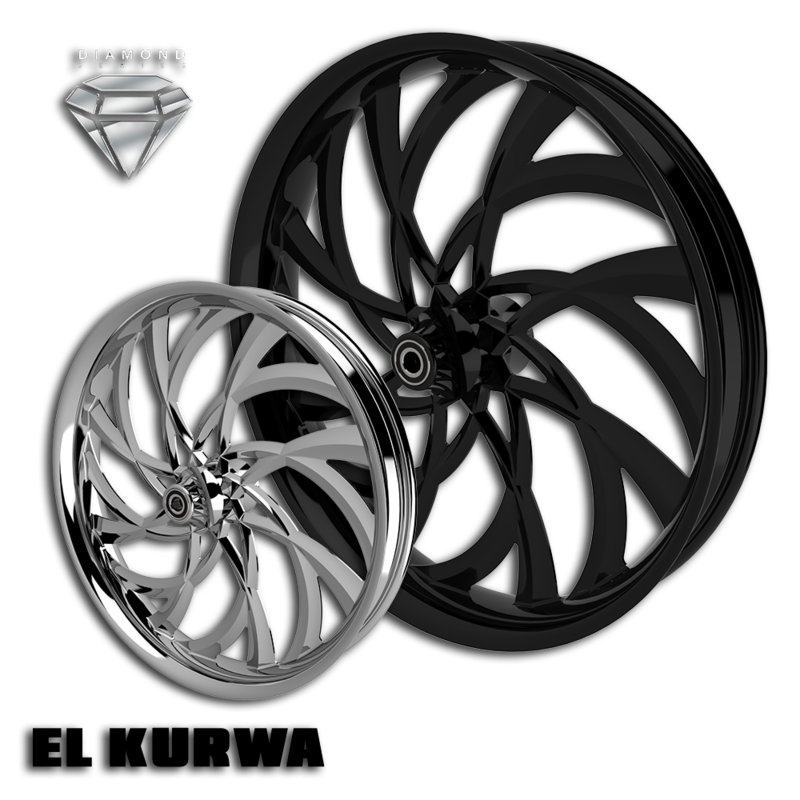 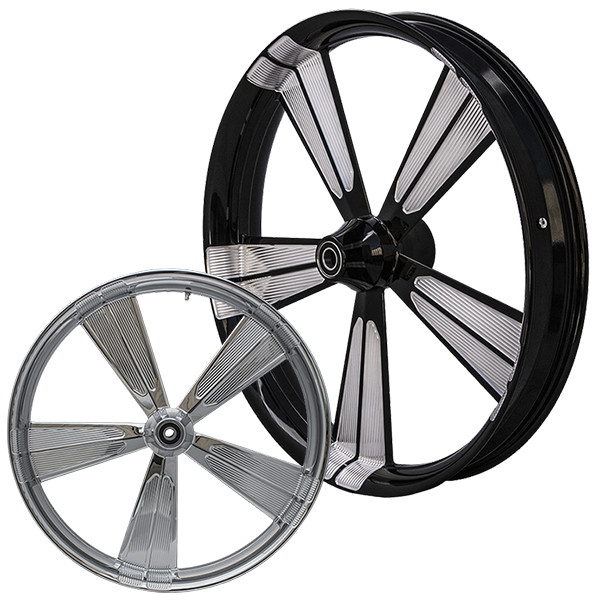 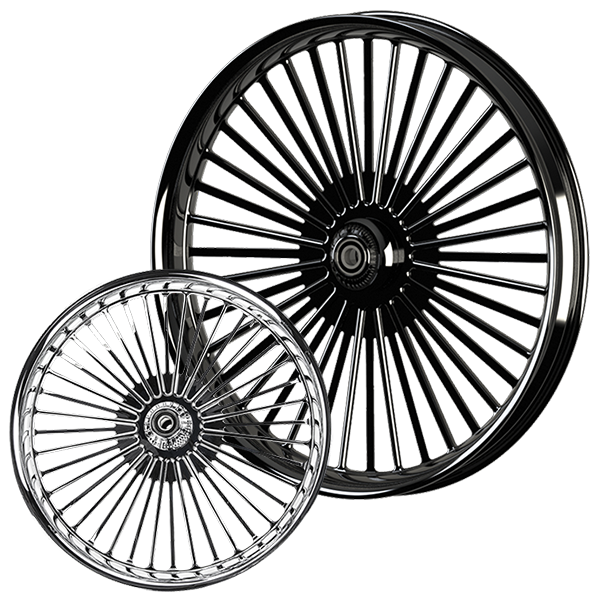 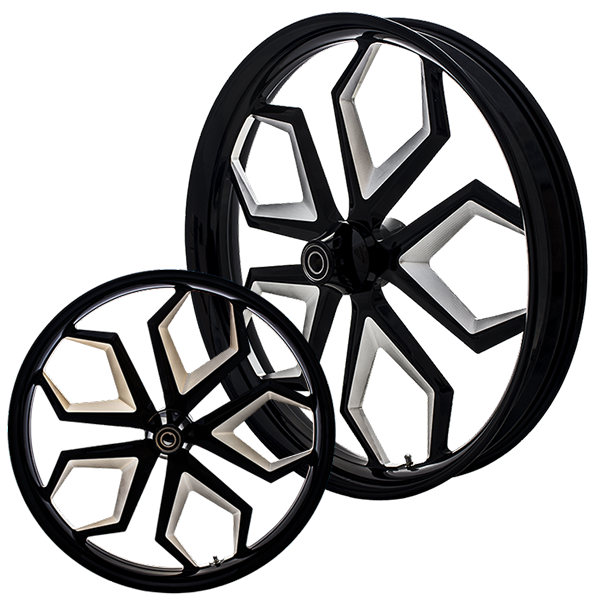 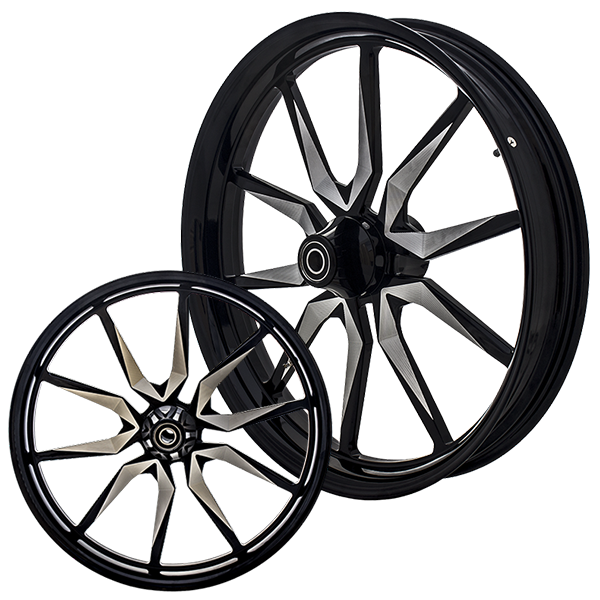 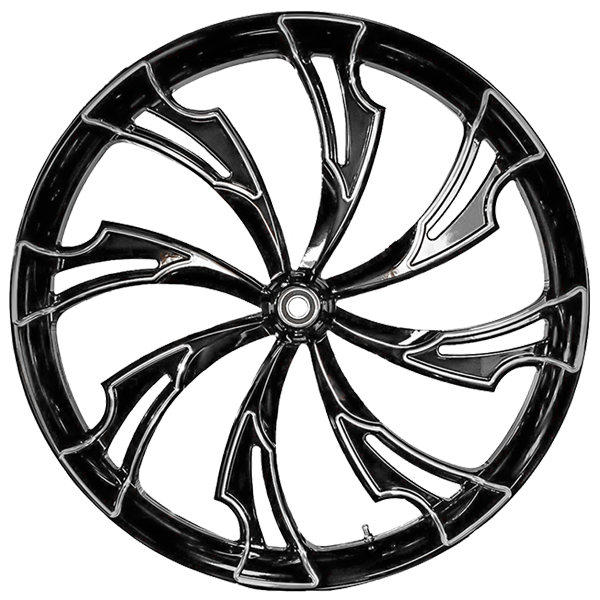 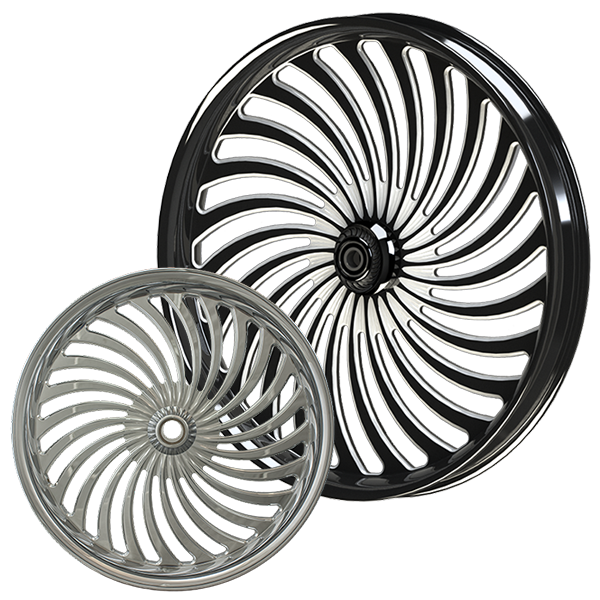 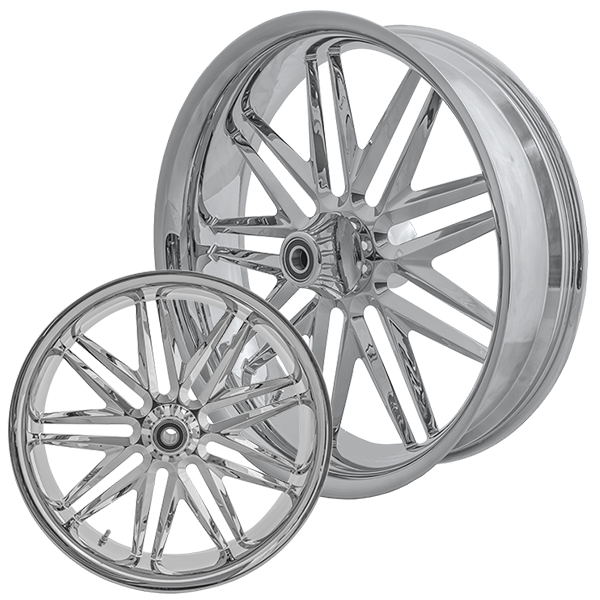 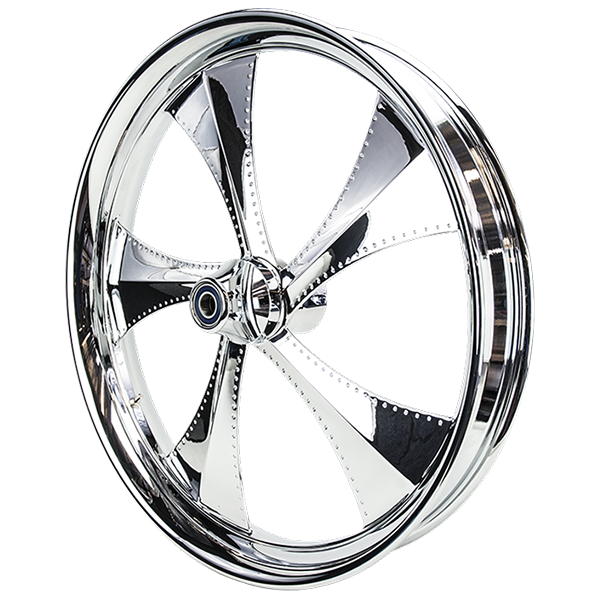 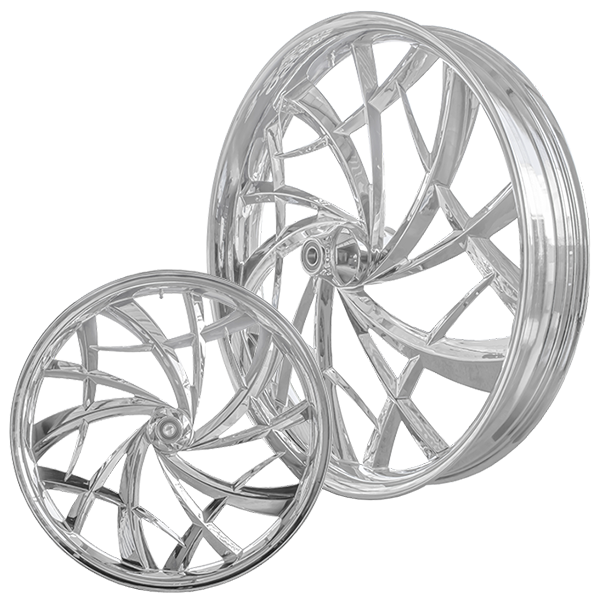 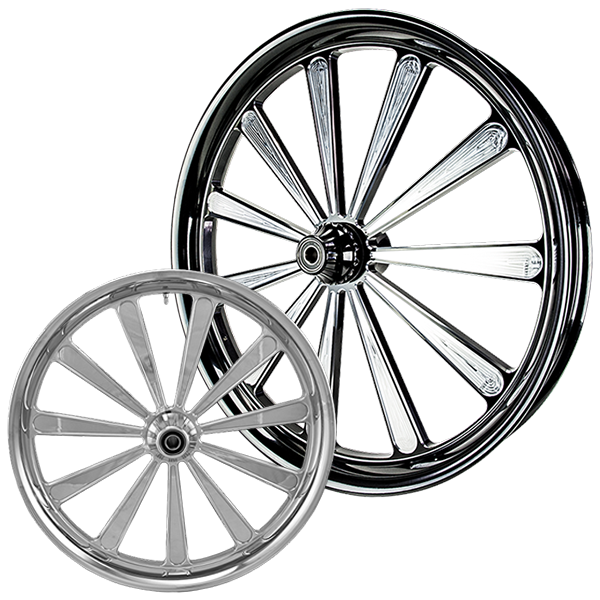 These killer wheels fit Harley Davidson, Honda, Kawasaki, Indian, Victory, and Suzuki motorcycles. 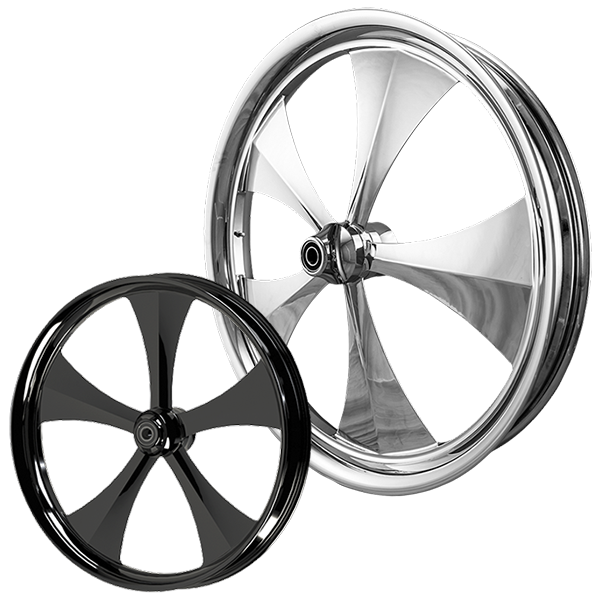 When it comes to custom motorcycle rims and wheels, SMT Machining doesn’t skimp on quality, fit, or design! 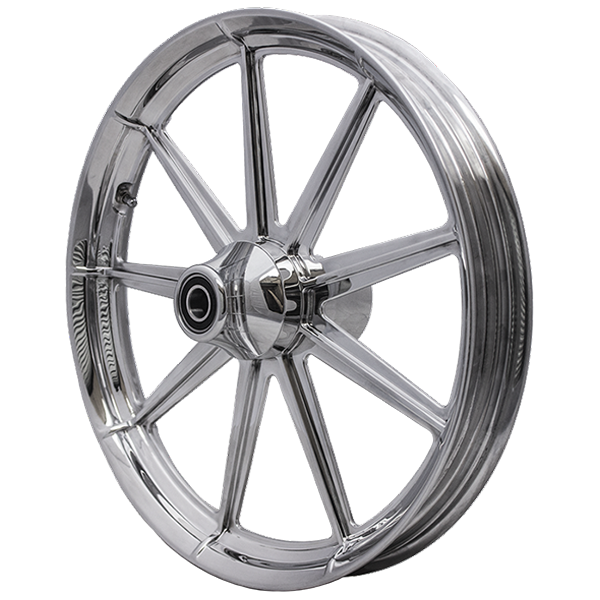 Milled from American-Made, Aircraft-Grade, 6061-T6 Billet Aluminum. 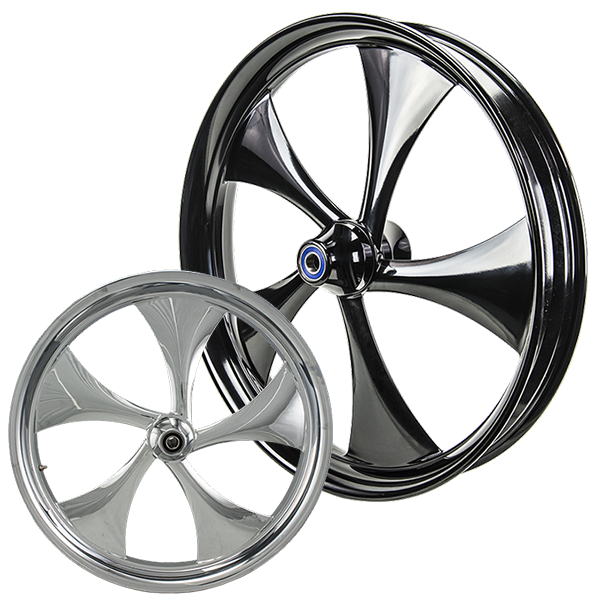 Polished, triple chrome plated, or double-cut gloss black available. 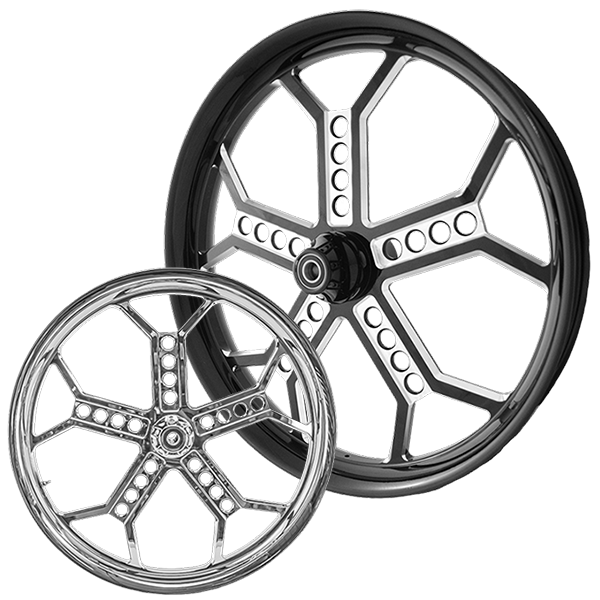 Matching sprockets, rotors, and pulleys available. 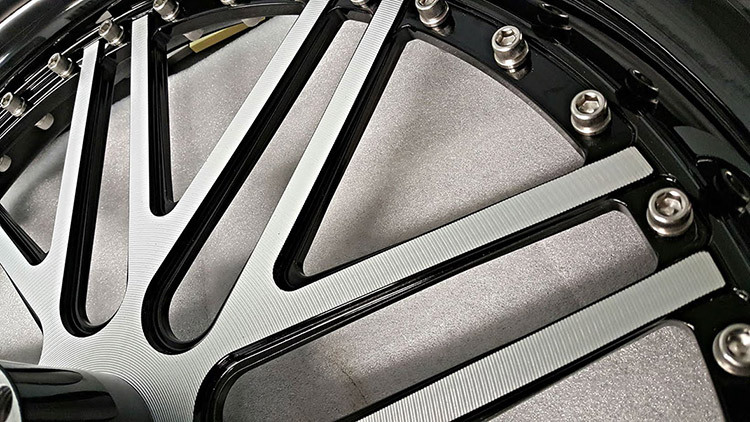 Custom designs that will fit your bike like a glove. 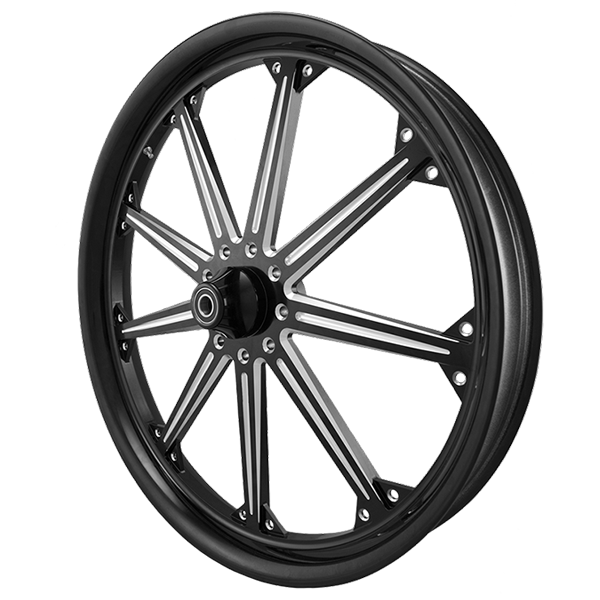 Optional – mount an Avon, Metzler, or Vee Rubber tire on your custom motorcycle wheel. 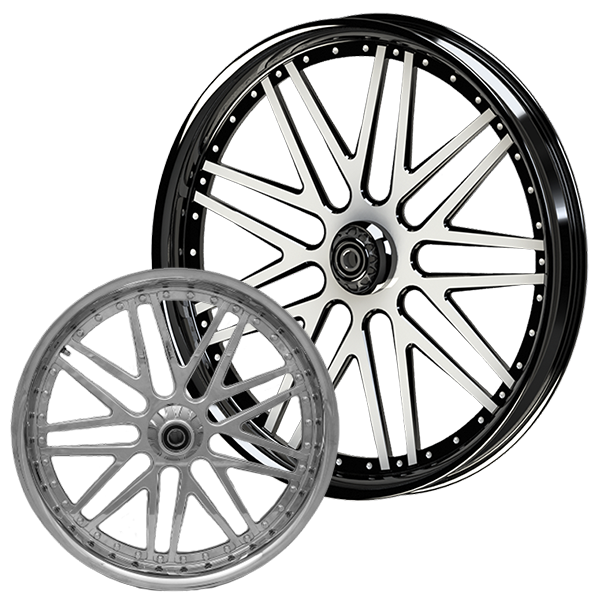 SMT Machining custom motorcycle wheels are forged from American-Made, Aircraft-Grade, 6061-T6 Billet Aluminum in their Glendale, AZ facility. 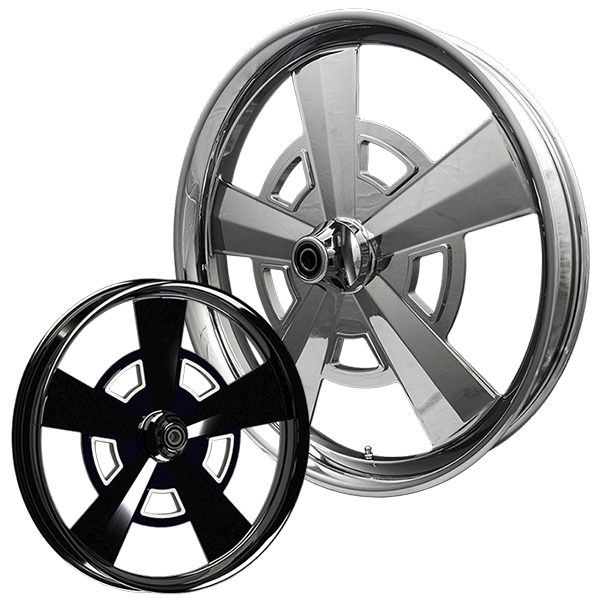 They use it because it is very corrosion-resistant and much less prone to scratches and gouges. 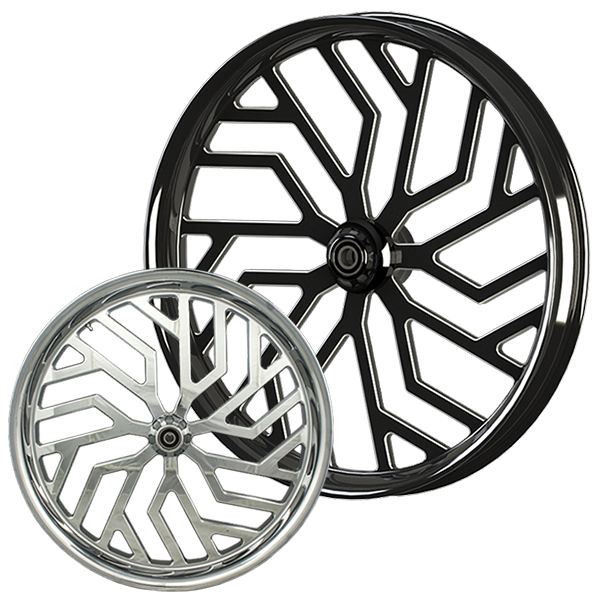 SMT Machining designs their custom motorcycle wheels with precision so there’s no installation or fitting issues when replacing your manufacturer’s stock rims. 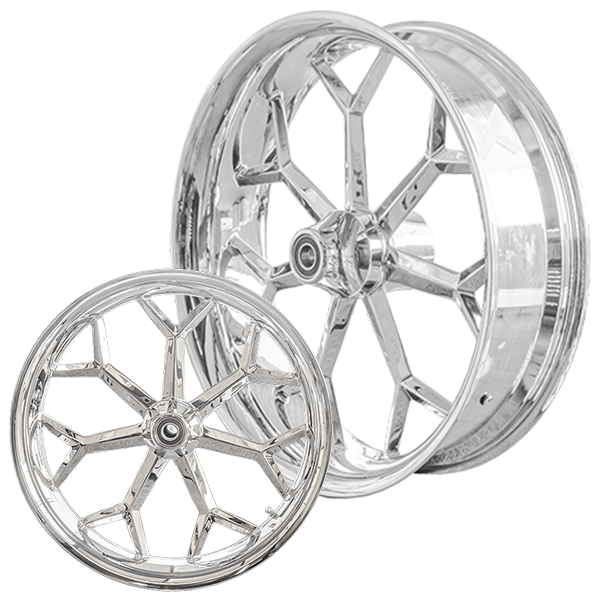 SMT stands behind this statement with a guarantee that if your custom motorcycle wheels don’t fit, they’ll do whatever it takes to get it right! 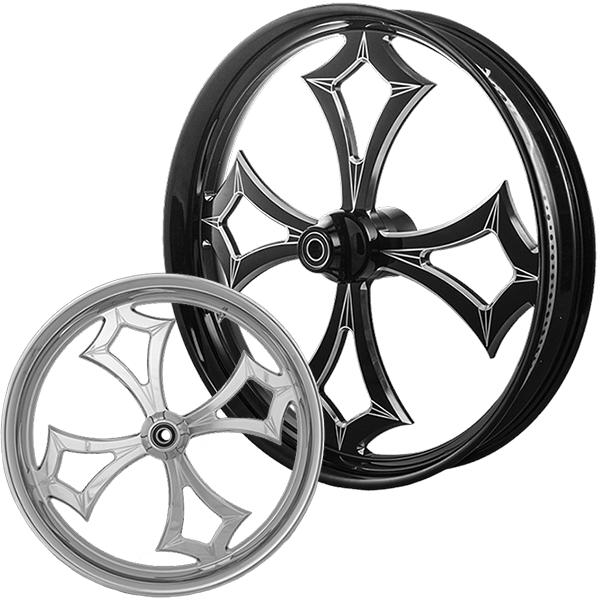 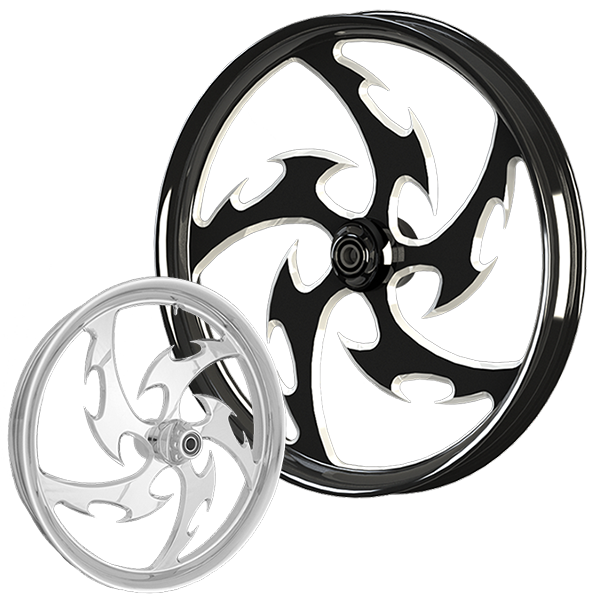 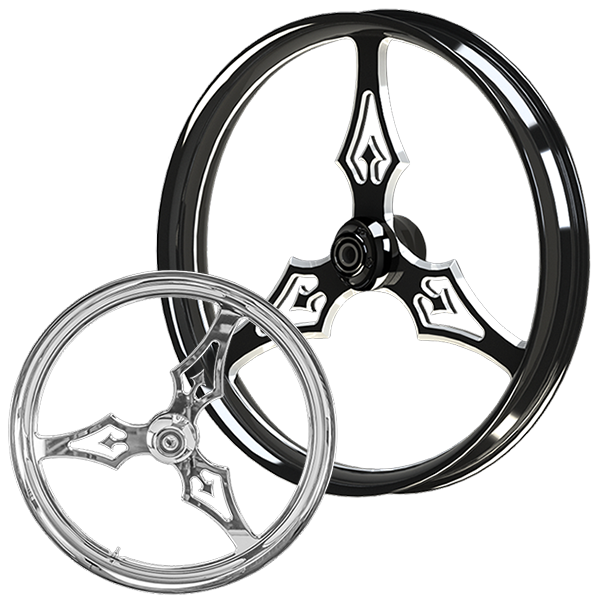 SMT Machining is know for its killer motorcycle wheel designs by some of the sickest creative minds in the industry! 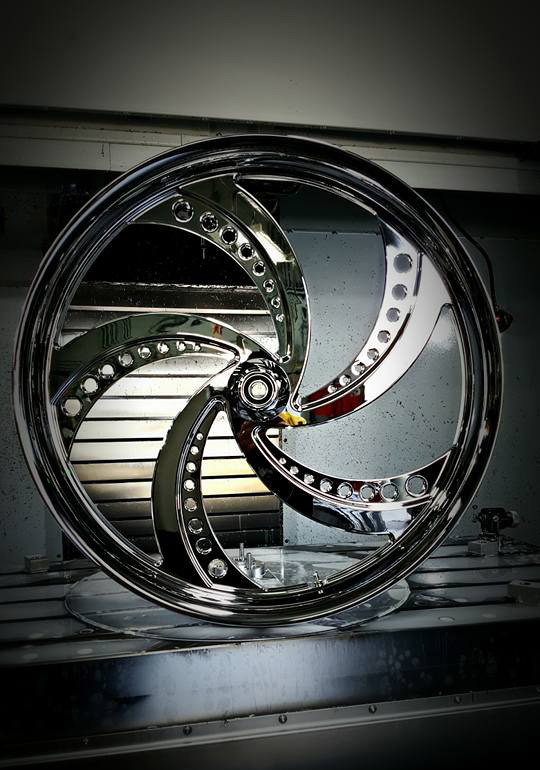 It doesn’t take long to find their rims…they’re everywhere! 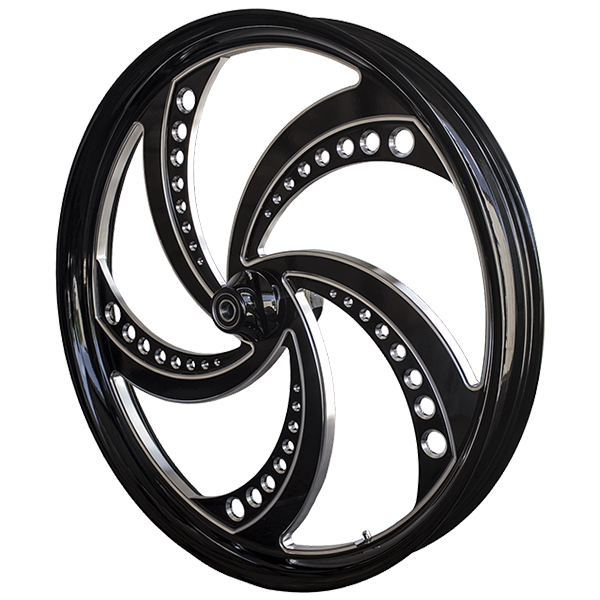 You’ll see them on the hottest show-bikes and in motorcycle magazines. 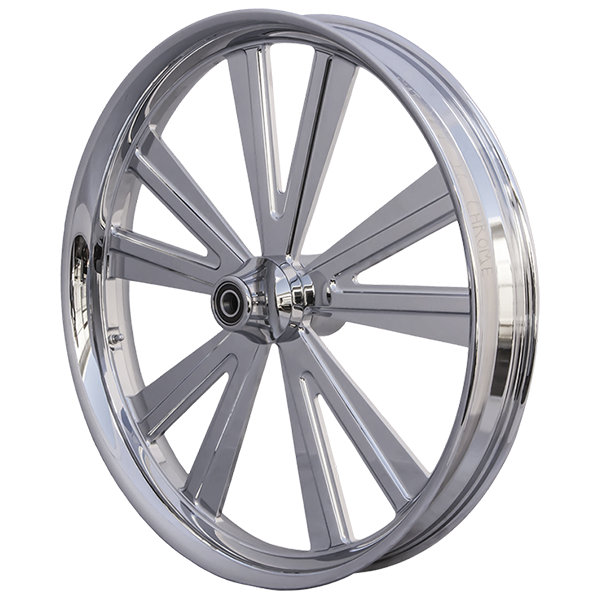 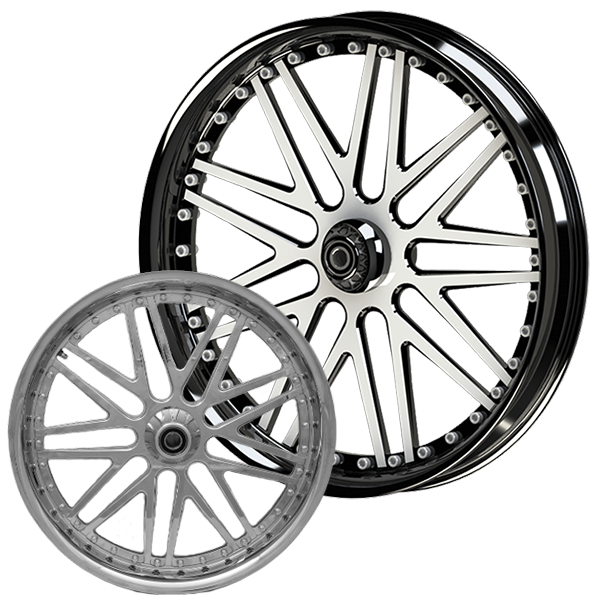 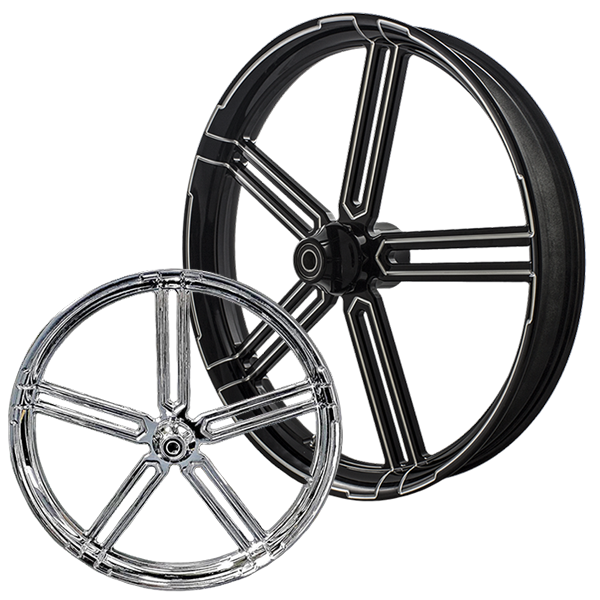 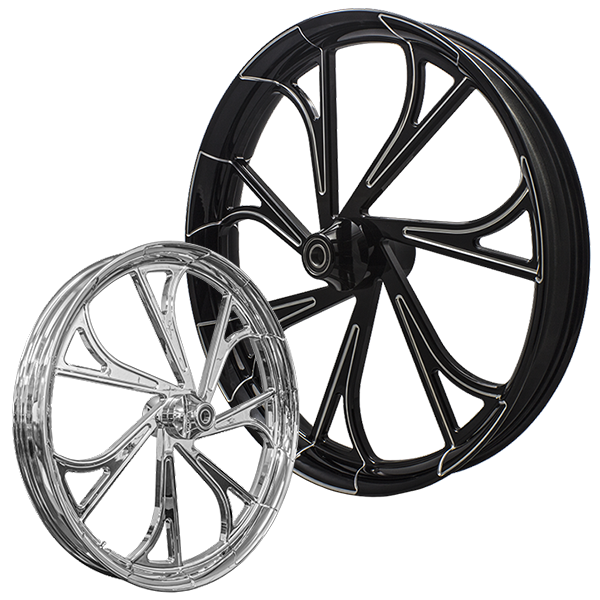 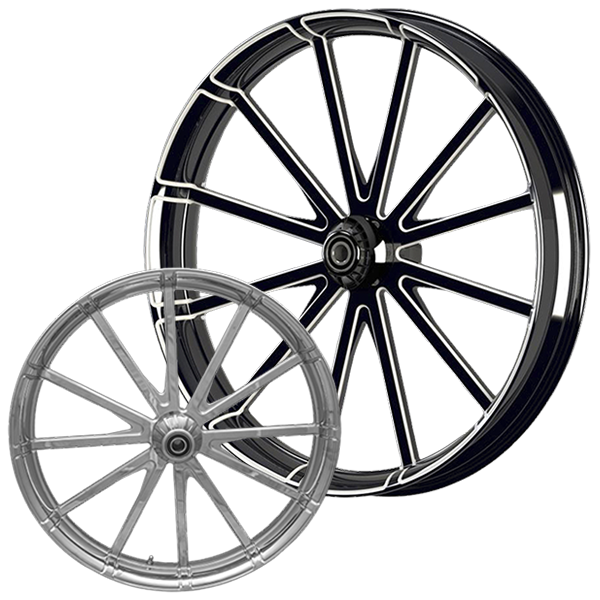 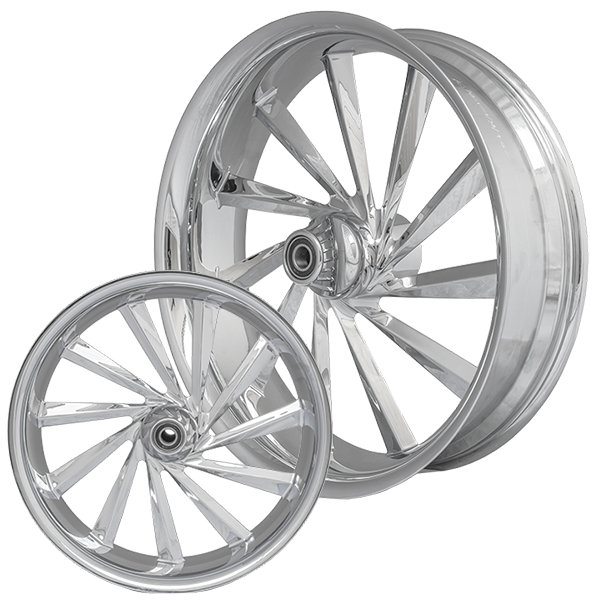 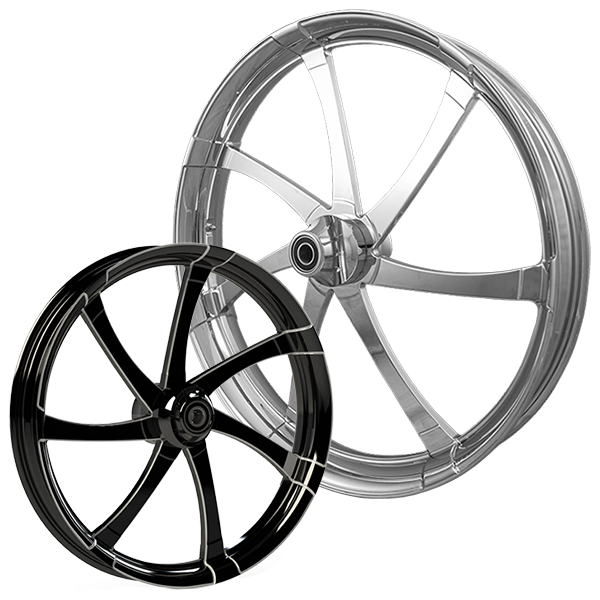 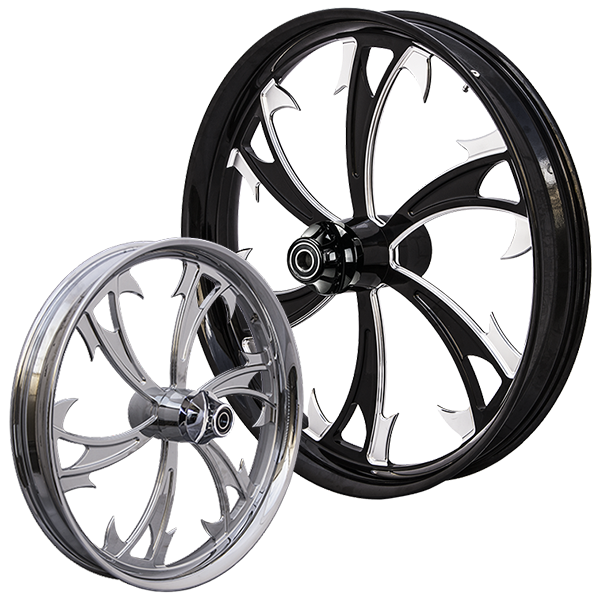 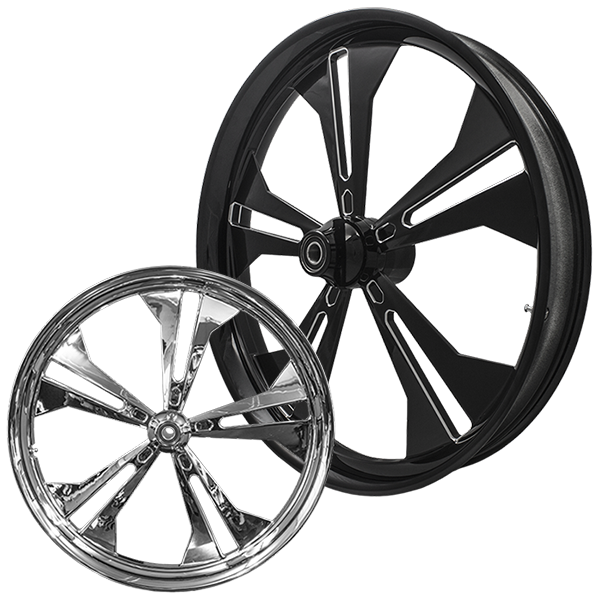 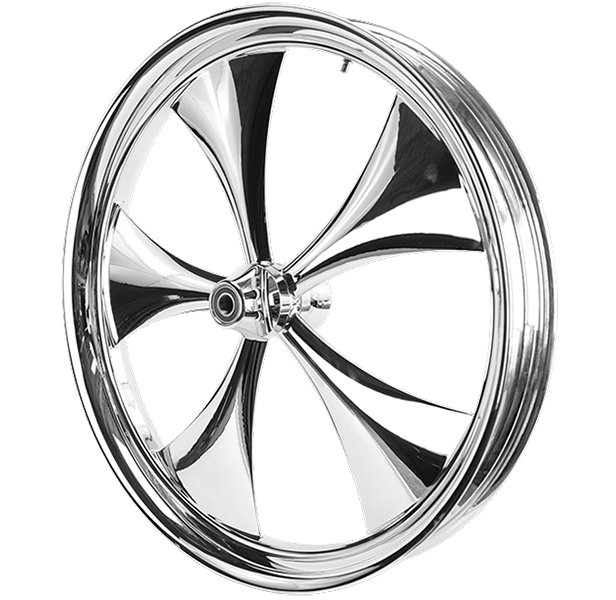 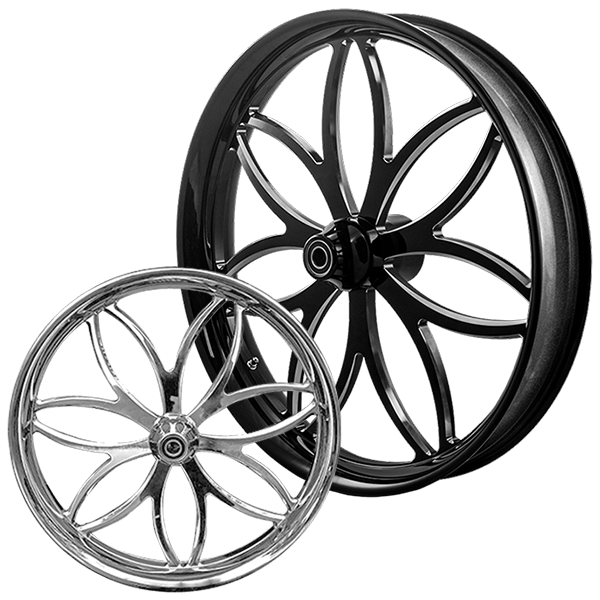 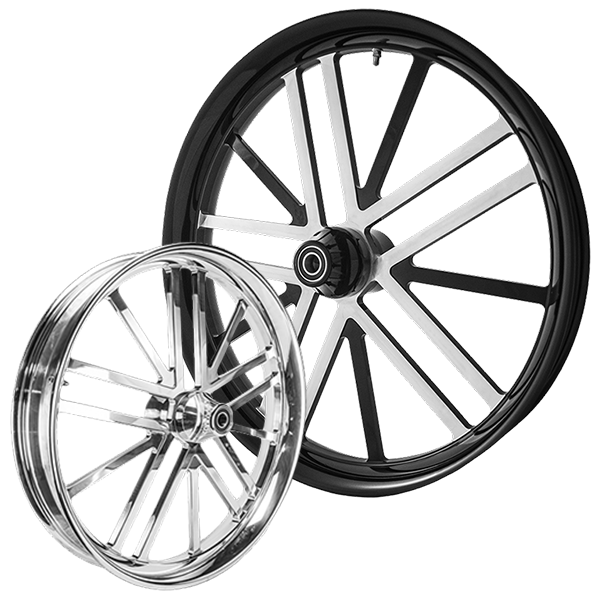 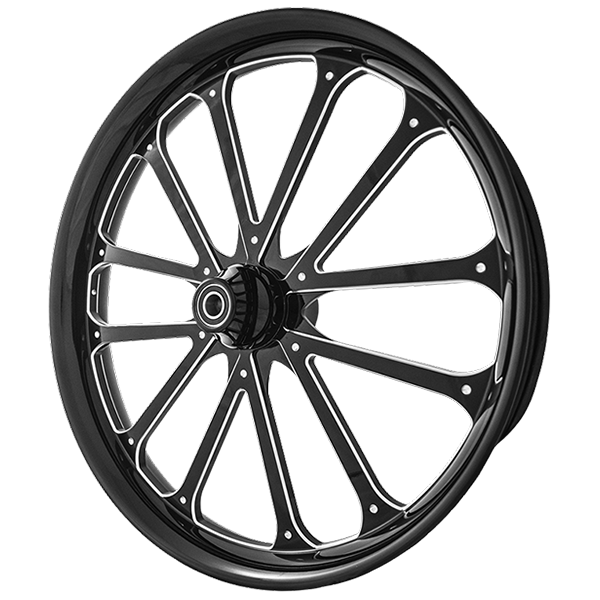 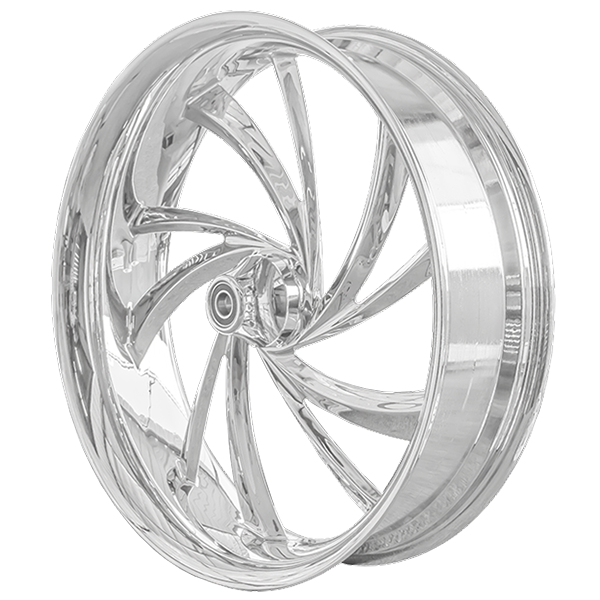 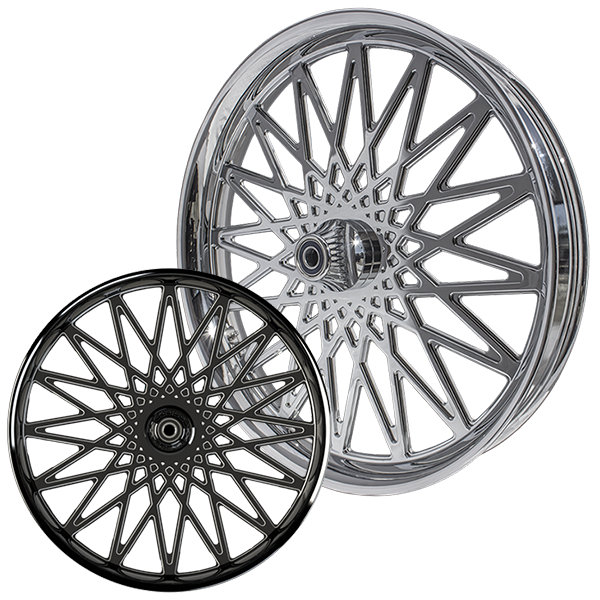 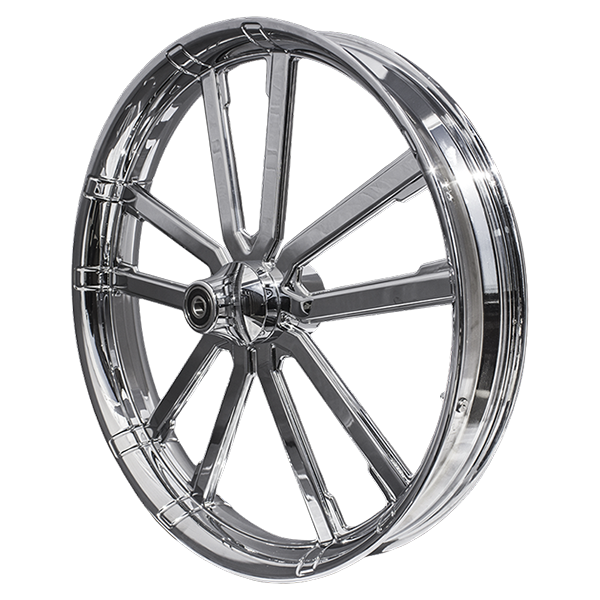 All SMT Machining custom motorcycle rims/wheels are custom designed for Harley Davidson, Victory, Honda, Indian, Suzuki, Yamaha, and Kawasaki bikes. 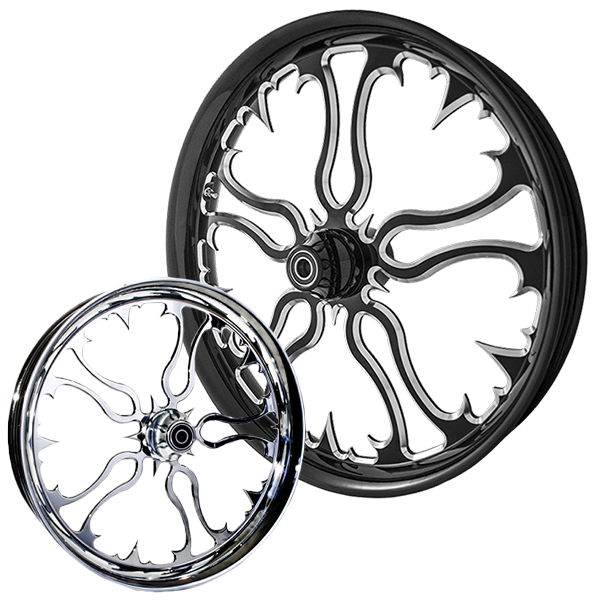 Get creative when building your dream bike by mixing and matching new and custom parts from these big name motorcycle vendors. 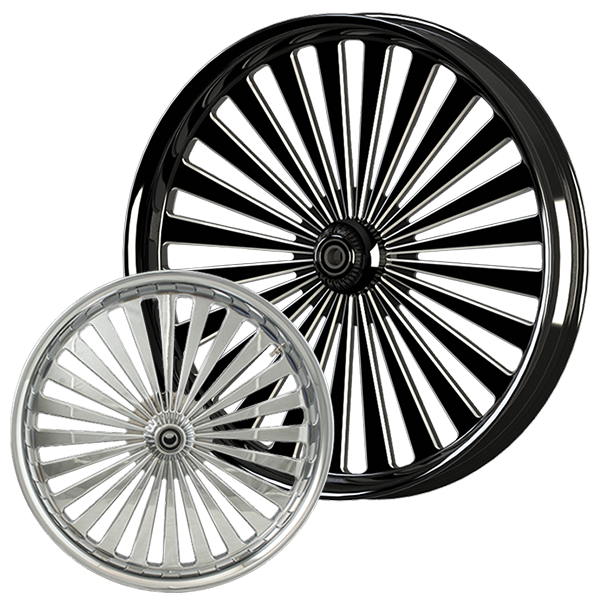 Choose from premier motorcycle parts like wheels, rims, suspensions, fenders, baggers, and much more. 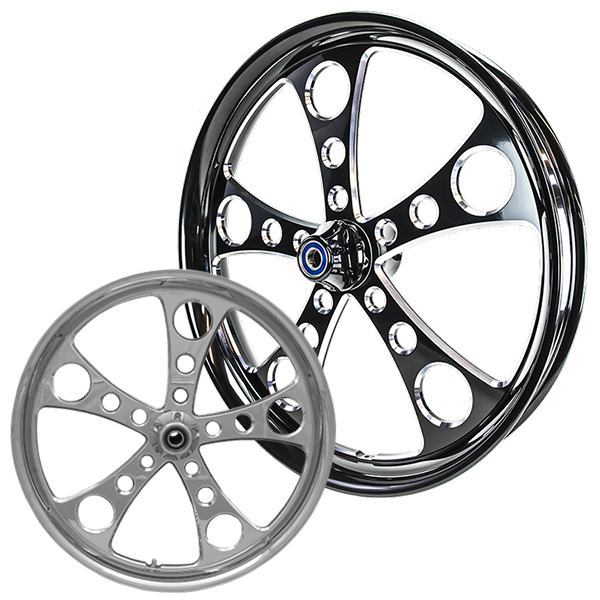 The best part is you don’t have to wait until your motorcycle parts are paid in full before they ship! 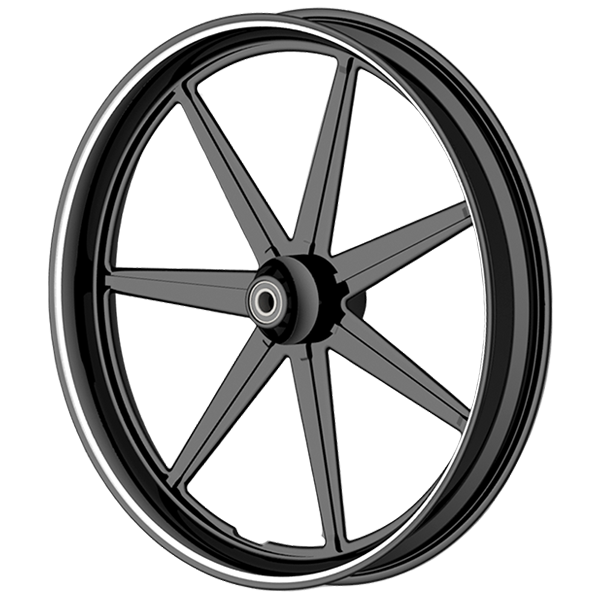 Just check out some of our reviews and testimonials from real bikers who took advantage of the FLEXPAY interest-free program.